I suspect many of those now-busted investors owned their own businesses. Why do I say that? Because we entrepreneurs are inclined to be, well, entrepreneurial. We embrace a higher degree of risk than other people and are attracted to investments that offer the opportunity for large returns. The more success we enjoy in our own ventures, the more confidence we have taking other calculated risks. But as Kountry Karaoke reminds us, not every higher-risk investment pays off. Investing in someone else’s dream comes with serious potential downsides. That’s not a reason to avoid such deals. But before you buy into a buddy’s car detailing business or your sister’s restaurant, it’s critical to make sure that investment can’t derail your retirement saving strategy. My recommendation: Consistently invest 20% of your gross income in a portfolio of carefully chosen stocks, bonds and other publicly-traded vehicles – the kind that has a track record of delivering returns over the long-term, such as the S&P 500 index, for example, and higher-grade corporate bonds. Yes, these are “low return” assets when we compare them to the 20% return we might realize from investing in a successful start-up business. But stocks and bonds come with a much higher confidence of returns compared to private investments. Commit to this plan for 30 or 40 years and there is a good chance you’ll be positioned for retirement, regardless of what happens with your other investments, including your own business. Any money available after you have fully-funded a stocks-and-bonds strategy, should you wish and can stomach added risk, can be used for private investments that offer those potential double-digit returns. Tempted as you might be by “the opportunity of a lifetime,”, in my professional opinion, you should not use money earmarked for your retirement investment plan to make a private investment. The risk is just too high. Let’s say your retirement strategy is based on an average 6% annual return. If you divert a year’s worth of portfolio contributions into your college roommate’s robot-operated poke bowl restaurant and get a zero return, you will dramatically reduce your average return. If you outright lose that year of contributions, the long-term impact could be brutal. So, go ahead, take a smart chance. You’re an entrepreneur; that’s what you do. But minimize the potential downside to your financial future. That’s also what you do. 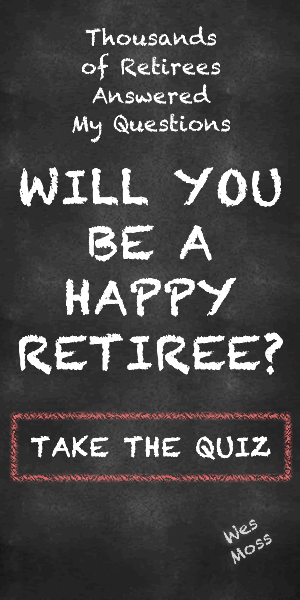 For more insight check out my recent post on retirement planning for entrepreneurs.